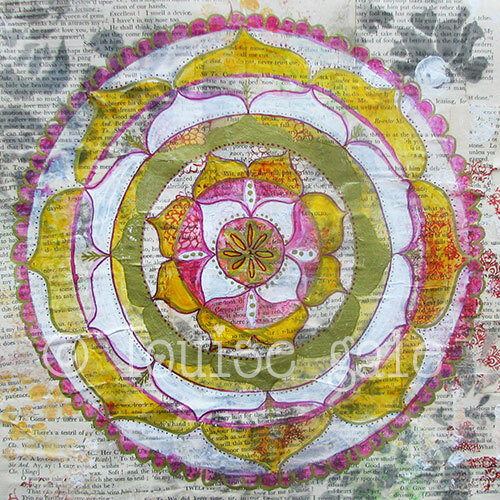 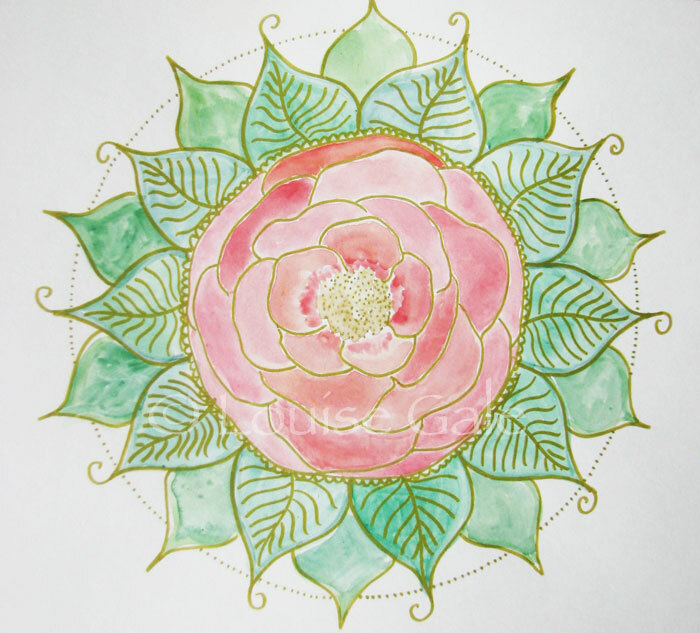 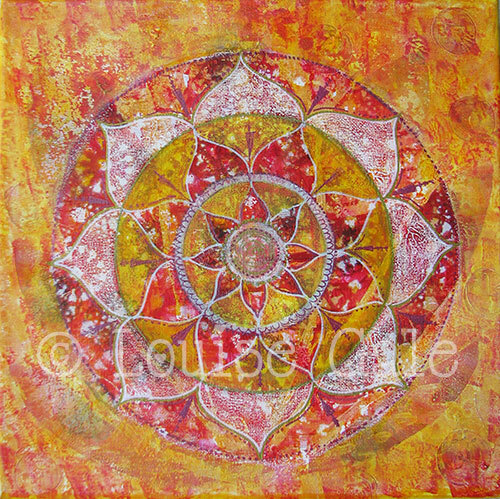 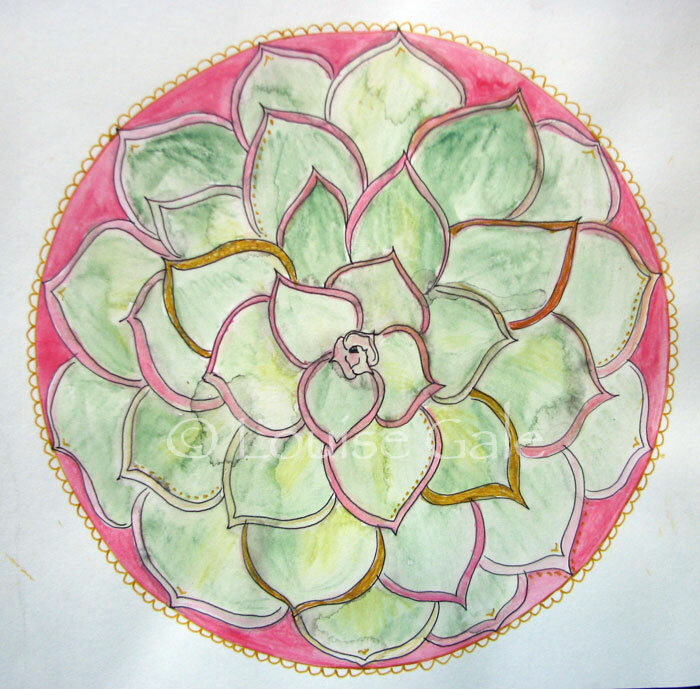 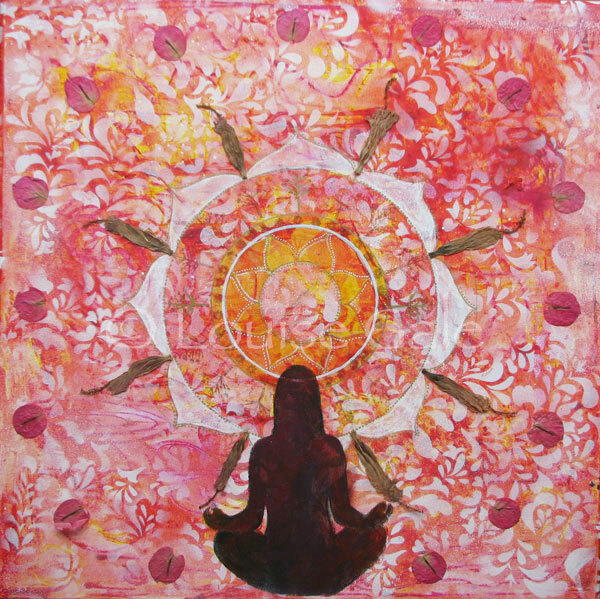 Painting mandalas is like meditation. 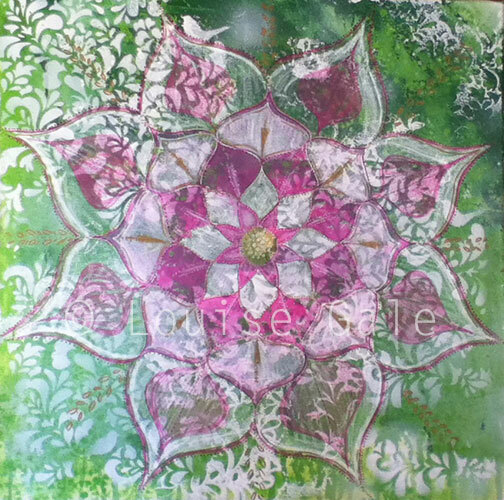 The sacred circle has so many possibilities and I love to create mandalas in many different ways using many different mediums. 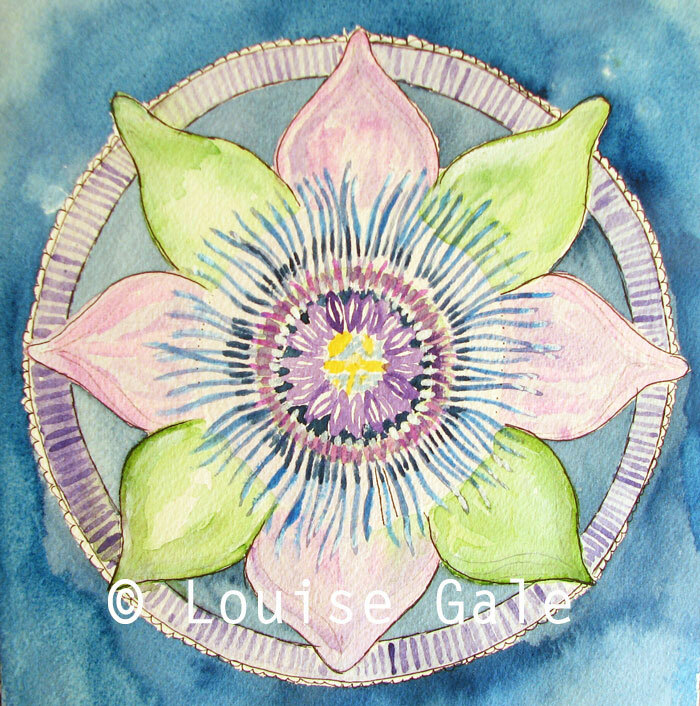 These paintings were exhibited in Estepona, Spain in 2014 and have been featured in two books. 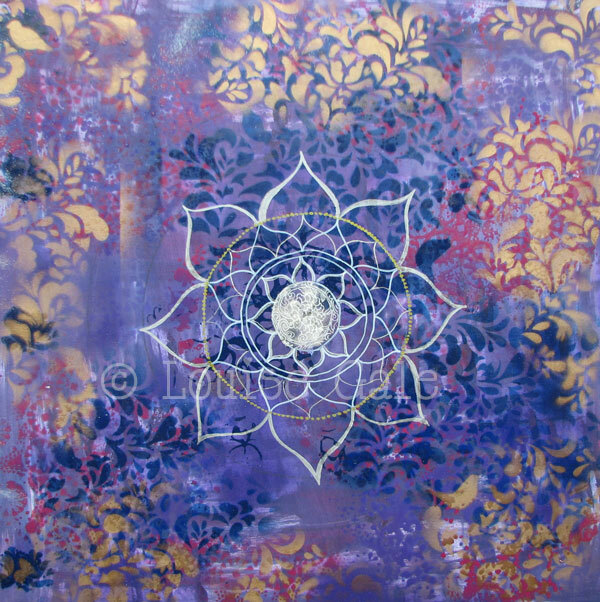 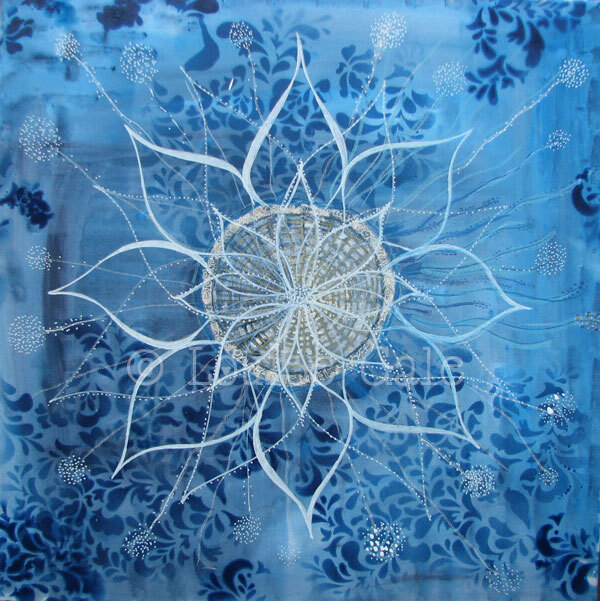 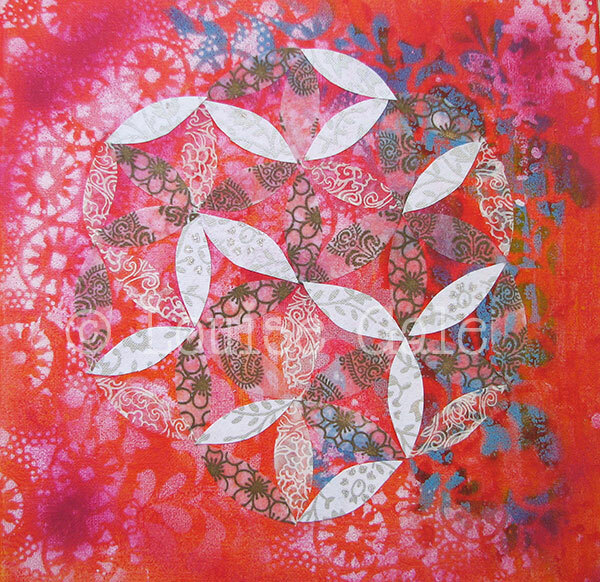 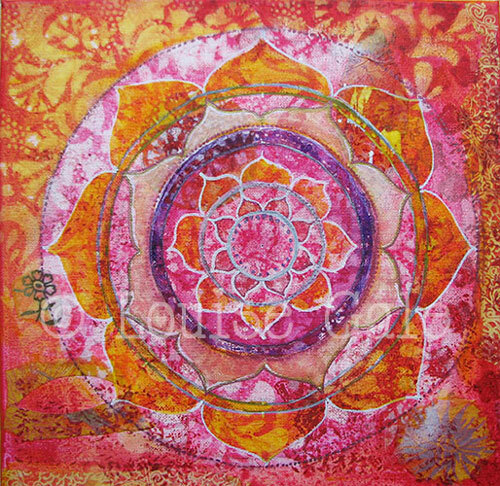 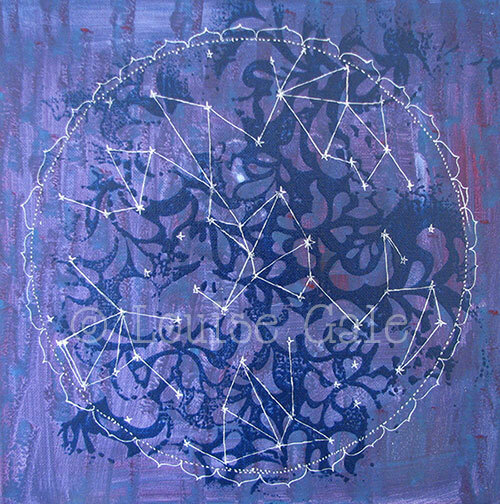 If you would like to create your own mandala masterpieces, click below to learn more about my online Mixed Media Mandala classes. 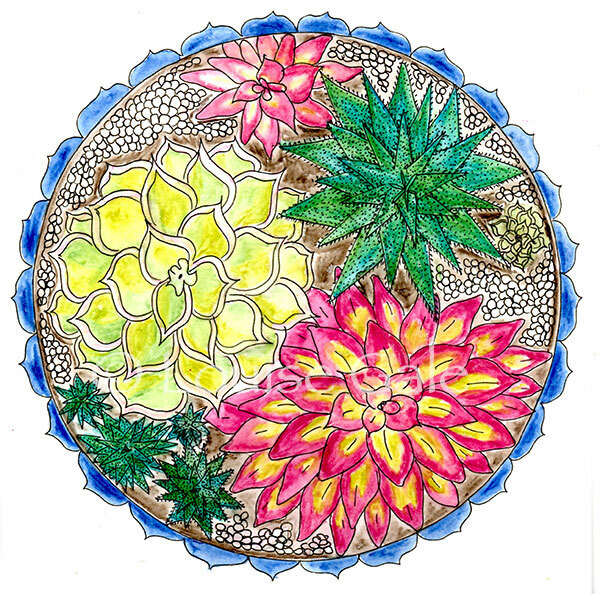 Inspired by nature, these botanical mandalas celebrate the beauty and universal patterns in flowers, buds, fauna and lots more. 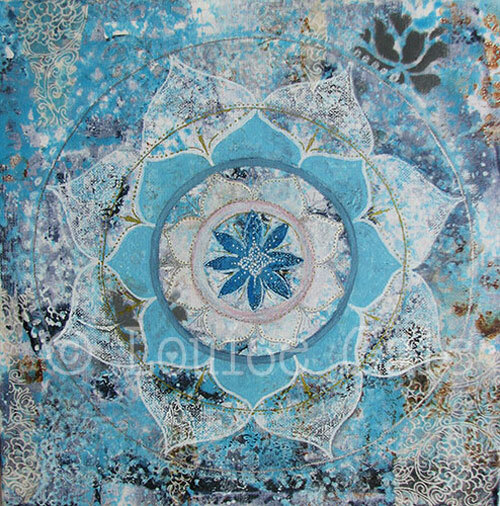 *New project for 2017! 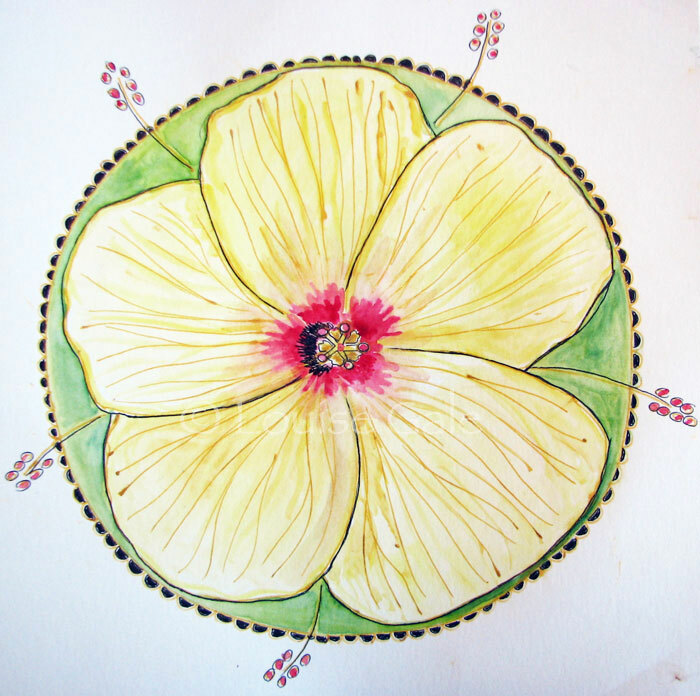 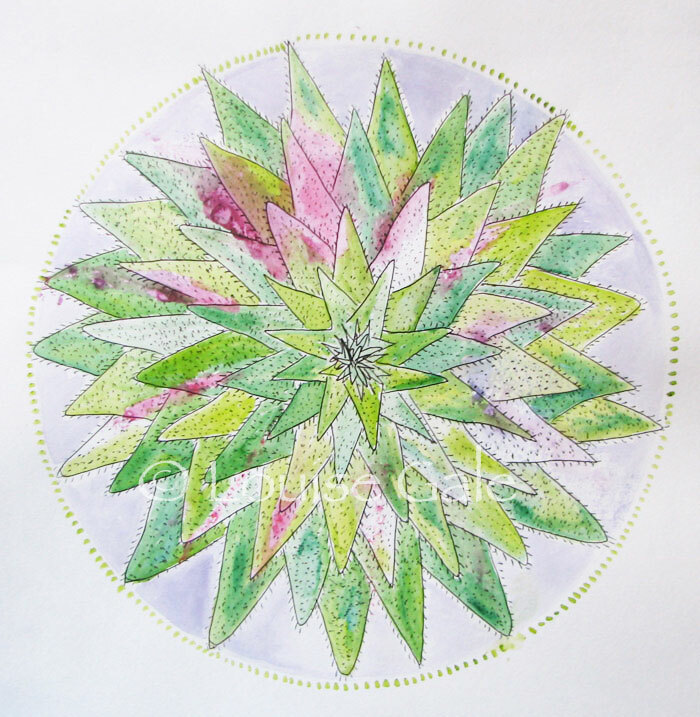 I am writing an art instruction book to create mixed media botanical mandalas, find out more about my project and track my progress via the button below. 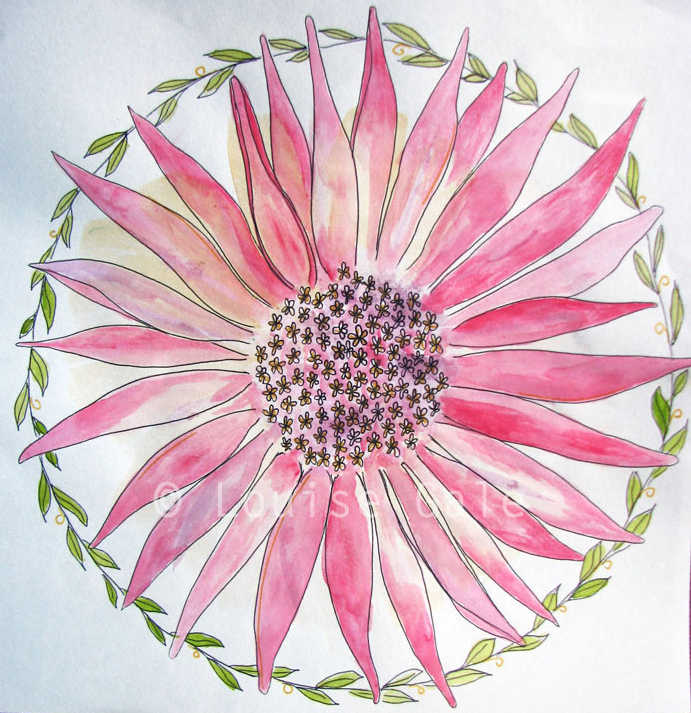 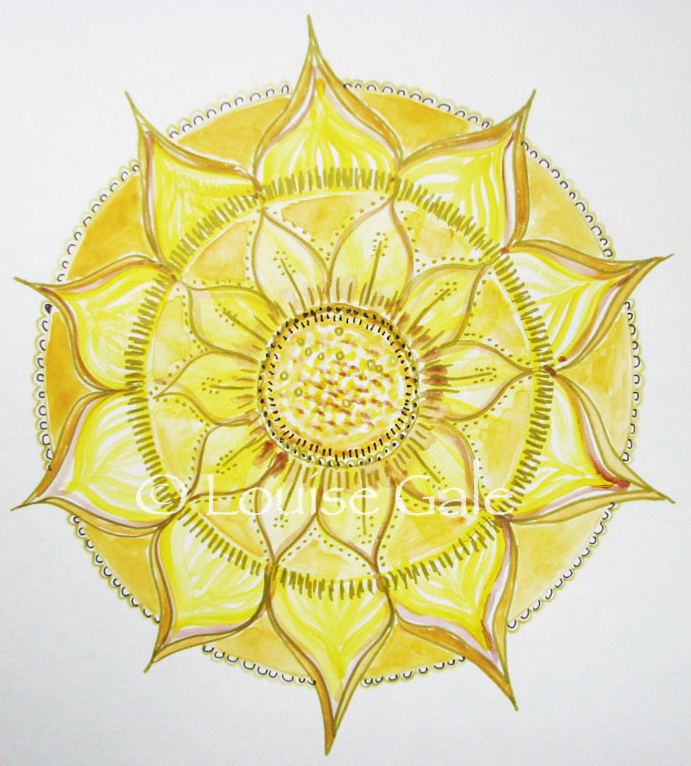 See more mandala drawings and studies on my sketchbook portfolio page.